The Chamber of Commerce Performance Center is located in a city park on Stephenson Island (formerly Stephenson Isle) which is an uninhabited island in the Menomonee River. 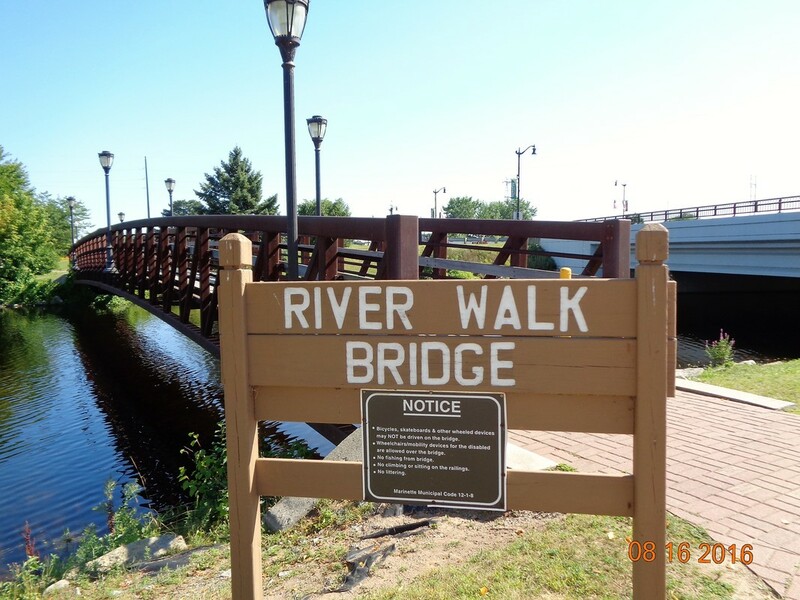 The island can be reached via the River Walk Bridge which is next to the WI Tourist Information building and the Stephenson Marinette Public Library. The island is named for Isaac "Ike" Stephenson who was a successful lumber businessman and elected to the WI state assembly and also to both the US Congress and Senate. The bandshell, near the center of the island, was built in the about 2003. It was a project shared by the City of Marinette and the Marinette Chamber of Commerce. (The Marinette and Menomonee, MI, Chambers are a combined Area Chamber.) The City of Marinette maintains the structure and over time has improved the electrical for better audio; there is also storage behind the stage and can lighting. Currently, Sunset Music in the park are held one evening a week during the summer. As one Chamber member said: "It is most stunning in the early evening when swans and geese and ducks are paddling about and the sun is setting." Marinette's large summer festival - "Heritage Logging Festival" - is held in mid July on Stephenson Island. The lumbering history is celebrated with parade, music at the bandshell, dancing, fireworks, and much more. The Marinette Historical Museum is also located on the island. This is where logs were floated down the Menomonee River to be sorted, scaled and sawed. The last great logging drive was in 1917.